We take care of your online presence and generating leads. You take care of business. 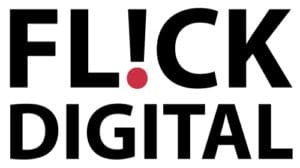 Our purpose at Flick Digital isn’t to build online business cards that no-one ever sees, it’s to build lead-generating systems and sales funnels that grow business. A big part of our business has been creating websites built to deliver when it comes to responsive design, getting found in Google (SEO) and conversion. But if you are truly looking to grow your business you know that it takes more than a website redesign. You might even have invested in a great-looking website, but it isn’t getting the results you expected. More than websites, we help premium local businesses attract more customers, make more sales and achieve their goals with proven digital marketing strategies. What would more sales mean for your business, your staff, your life? If you truly want to grow then maybe we can help. Get in touch and let’s get the ball rolling. We help generate more leads, clients, customers & sales with proven digital marketing strategies. Owned and operated by Jade Barham, Flick Digital’s home office is located in Hawkes Bay. Our focus is on helping local and regional businesses get more leads and make more sales using cutting-edge digital strategies. 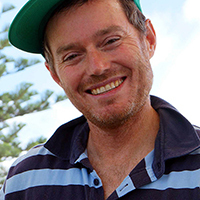 Having worked doing web design and SEO in a variety of environments and studied and tested the latest online marketing and lead generation strategies with specialists all over the world, I now run a Digital Marketing Consultancy based in Napier, NZ, with clients located in several parts of the world. We talk Web Design, SEO, Digital Marketing and Direct Response Advertising in simple to follow language and focus on results. We break it down to what really matters – generating leads and growing your business. Done the wrong way web and digital projects go nowhere fast and waste a whole lot of time and money. I have created streamlined and simple processes that ensure projects run smoothly and you always know what is going on. We work with established businesses to improve their web sites, get them found in Google, and generate leads through targeted digital direct response advertising.